As warmer weather arrives, Operation Lifesaver (www.oli.org), the rail safety education nonprofit organization, is urging professional photographers to refrain from taking photos of high school seniors, wedding parties, and other clients and/or subjects on train tracks or trestles. 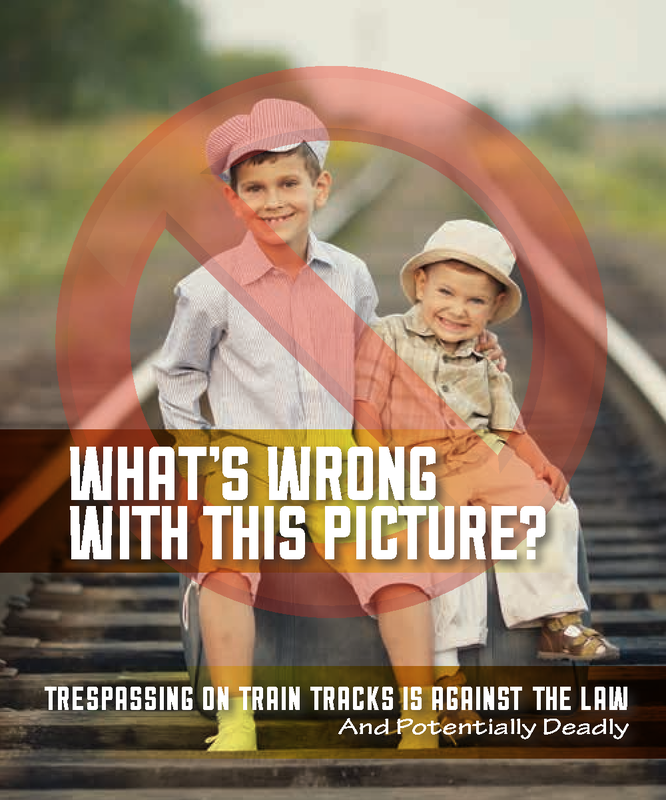 "We know that photographers seek creative portrait settings; however, using train tracks as a backdrop for photos is not only dangerous, it is illegal trespassing,” said Operation Lifesaver, Inc. President and CEO Joyce Rose. A teacher who taught art and photography was struck and killed by a train while taking photos on the tracks late in 2012. In response to tragic and preventable incidents like this, Operation Lifesaver has worked with Professional Photographers of America on rail safety education outreach to the professional photographer community. 2. An optical illusion makes it hard to determine a train's distance from you, and its speed. 6. People in your community mimic your behavior. North Carolina Operation Lifesaver wants to recognize, on its website, professional photographers who make a pledge never to take photos on train tracks or trestles, so if you are as committed to safety education as we are, please complete the form below. "I understand that trespassing on railroad property is illegal, and pledge that my photography business will never use railroad tracks or trestles or railroad rights of way for photo shoots. Should a customer ask for a location that is on railroad right of way, I will explain why I cannot do so, and will suggest alternatives." IMPORTANT: While NC Operation Lifesaver will make it known on its website that you have made this pledge, you may not add Operation Lifesaver's logo to your website or Facebook page to suggest that we endorse or support your business.